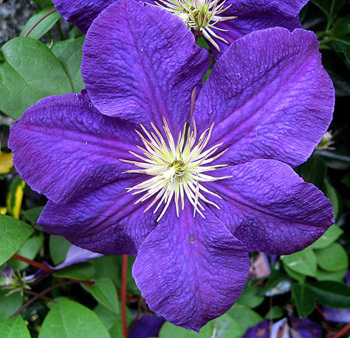 Another variety: Native Americans used another plant (Clematis ligusticifolia) also called clematis and virgin’s bower. They used the leaves and bark as shampoo; at Fort MacDermitt, Nevada, the root was dried and powdered for use as a shampoo. An infusion of the leaves and flowers of virgin’s bower is said to relieve even severe headaches. For external use, this herb is sometimes combined with other plants to make ointments or poultices for sores, skin ulcers, and itching skin. Inhaling the fumes of the bruised root or leaves is said to relieve headaches (but I wouldn’t try it). Virgin’s bower contains acrid substances which can cause severe skin irritation. 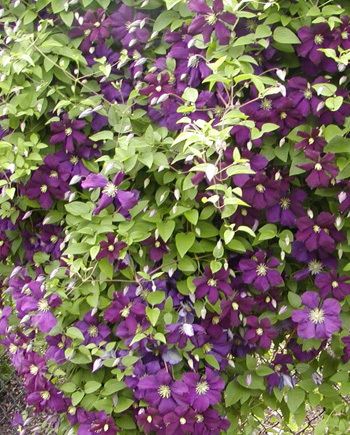 Sensitive people can get dermatitis from handling the plant. Virgin’s bower is toxic. Highly irritating to skin and mucous membranes. Ingestion may cause bloody vomiting, severe diarrhea, and convulsions.